We offer companies and individuals access to world-class aviation services. 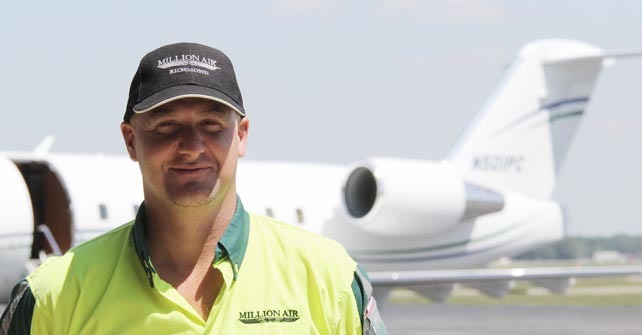 As a locally owned Fixed Base Operator in Richmond Virginia, Million Air brings a higher standard of excellence to Central Virginia – making it more convenient, more efficient and more cost-effective to manage, maintain and utilize private jet flights. Million Air is audtied by the Aviation Research Group (ARG/US) and maintains the highest safety rating available, the ARG/US Platinum Rating. When you fly with Million Air, you can be confident that we are doing everything to insure your safety. 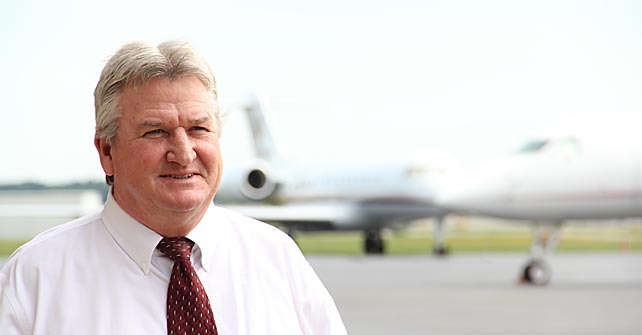 Gene McDonough’s aviation career began in 1969. He has managed all facets of fixed based operations from line service to maintenance to charter. His qualifications include Airline Transport Pilot, Airframe & Powerplant Mechanic, and Inspection Authorization. Gene’s ingenuity, determination, and commitment to the industry has developed Million Air Richmond into one of the finest full-service facilities on the east coast. Mark has been a stockholder in Million Air since the start in 1992 in addition to having an active role. He owns the local PORSCHE dealership in Richmond as well. The car business and the FBO business are similar with a strong focus on customer service and satisfaction. 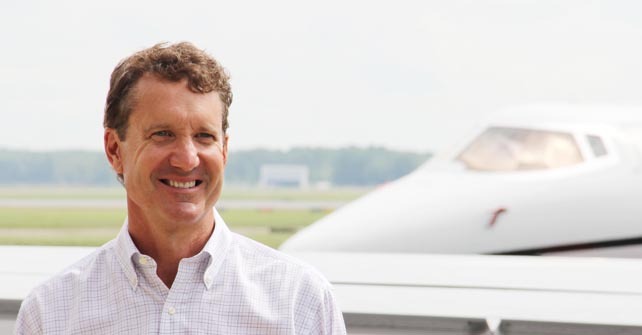 Mark gets involved with most financial decisions at Million Air including bidding contracts, equipment purchases, and acquiring and selling aircraft. Mark graduated from Wake Forest University. 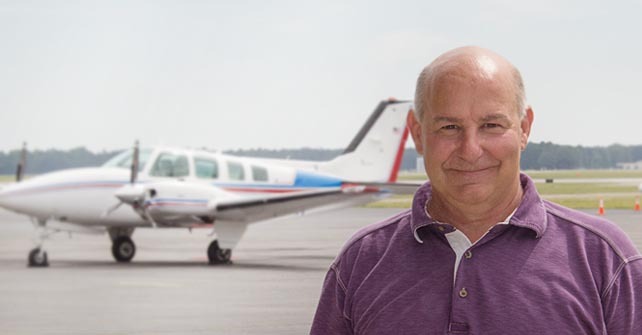 Ron Bisbee has a Bachelor’s degree in Aeronautical Science from Embry-Riddle Aeronautical University and has devoted his career to general aviation. Ron has previously held positions as a line pilot, chief pilot, and Director of Operations for FAR Part 135 Flight Departments. 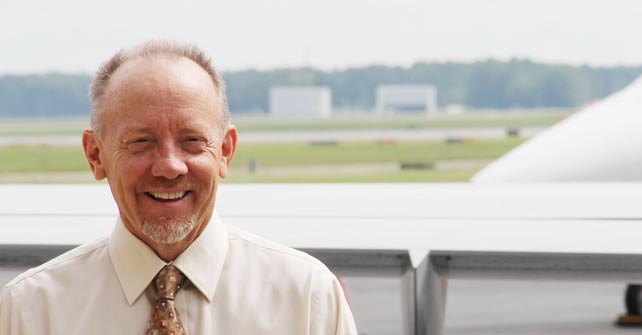 Million Air Richmond has greatly benefited from Ron’s experience; his knowledge of the ATC system, FAA regulations, and aircraft performance parameters ensures optimum safety for each flight dispatched through our operation. John Gardner’s technical expertise, qualifications, and training are vast. He received his A&P in 1986. He holds an Inspection Authorization and MACS Certification. John has received formal Maintenance & Systems training in each of the turbine aircraft that Million Air operates. 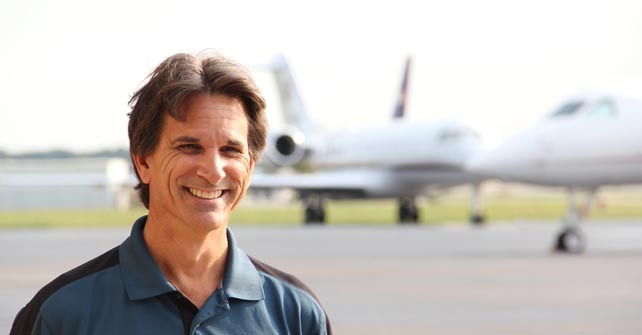 His team of certified Airframe & Powerplant mechanics are similarly trained and experienced. A native of Southeast Virginia, Howard loves rural living. He is very active in his local community. Howard was in the United States Air Force where he worked as an Avionics Communication Technician on C141’s as well as other transient aircraft. With over 20 years of aviation experience, Howard brings a great wealth of knowledge and expertise to the Million Air team. Krystal Grant serves as the Human Resource Manager for Million Air Richmond. She started with the company in 1997 as a Customer Service Representative. She has also successfully completed Flight Attendant training, and complements our Challenger crew as a Flight Hostess. 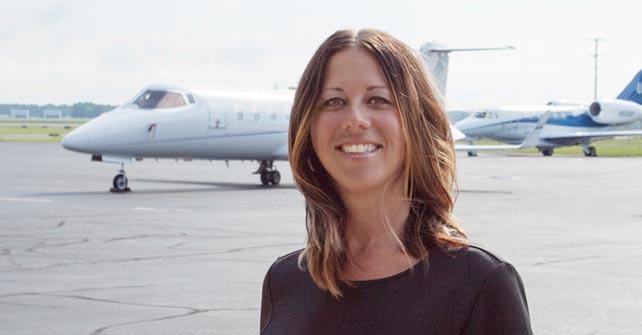 With a strong Customer Service background, Krystal improved the level of service being provided by Million Air’s Charter Department while she was the Charter Department Manager. Krystal’s knowledge of Million Air’s business and experience in aviation contributed to the promotion of her current position. 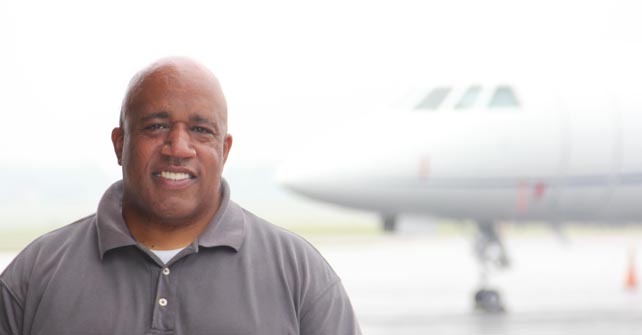 Alan Ringgold began his career with Million Air Richmond in 2006 as a Line Service Technician. He has worked hard over the years to learn all aspects of business from Line Service Technician, Supervisor and his current title of Quality Assurance Manager. Prior to joining our team, Alan served in the Armed Forces from 1998 – 2004. During that time he gained experience working on engines, hydraulics and electrical systems. Leslie Sivert is a graduate of James Madison University. She earned a Bachelor of Business Administration degree with a major in management and a minor in marketing. Her interest in accounting ultimately led to future positions in accounting management. 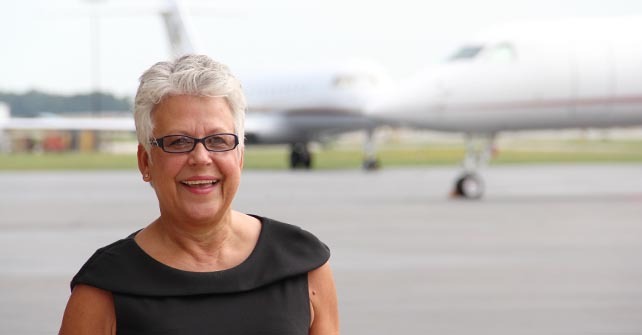 Leslie began working in the aviation industry in 1988 after having been introduced to the aviation environment many years before. She feels very fortunate to have experienced her first flight at age seven with her father, an aviator in the United States Marine Corps piloting the aircraft. Leslie earned her private pilot’s license in 1992. She joined Million Air Richmond in 1999 and believes the expertise of the Million Air staff has contributed greatly to the company’s growth and success. Leslie continues to enjoy the challenges of the aviation industry and appreciates working alongside so many interesting people in such a unique environment. 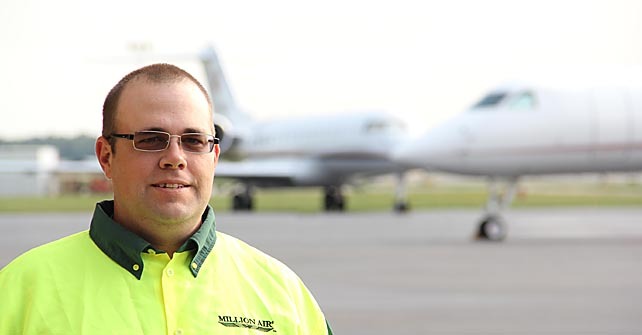 Eric began his aviation career with Million Air Richmond in 1999 as a Line Service Technician. He left in 2001 to explore other opportunities but returned in 2012 because he never forgot his love for aviation. His excellent customer service and work ethic allowed him to rise quickly to the level of Line Service Manager. Greg recently began his career with Million Air in 2015 after spending 30 years in Highway/Infrastructure Management in Upstate New York. Greg brings his experience as a County Highway Superintendent, overseeing the maintenance of highways, buildings and equipment, to his role at Million Air. Greg leads a staff, dedicated to the maintenance of Million Air’s facility. He, also, oversees the aircraft detailing services available to our clients, as well as, the detailing of our own fleet. He strives to keep our facilities clean and its systems in top working order to enhance the experience of every Million Air customer.